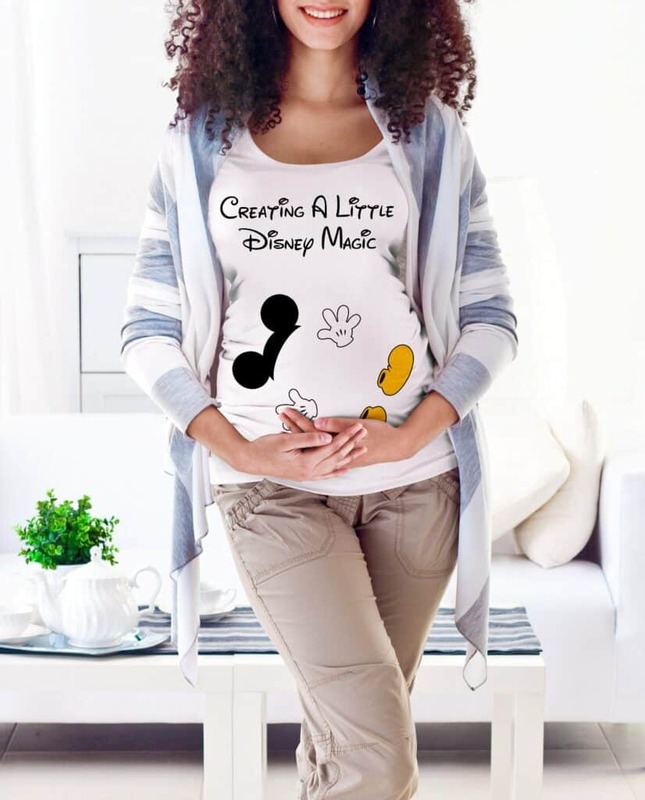 If you are looking for some adorable Disney maternity shirt ideas, you have to head on over to Etsy because the creative minds that sell their custom pieces over there are really something special. A personalized shirt really makes this time of our lives that much more …. EVERYTHING, right? You get to tell the world a little bit about your favorite characters while showing off that baby bump. Double score. 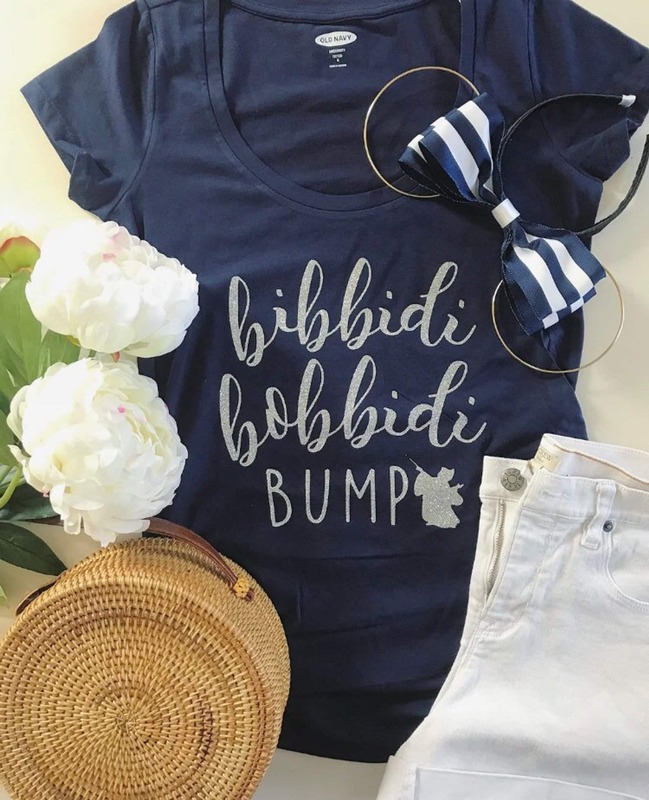 I found a few really adorable maternity shirts that have some pixie dust sprinkled all over them and I wanted to share them with you just in case you were in the market for some new threads. I hope you enjoy these Disney maternity shirt ideas. I like this combo because you can choose if you want to align yourself with either Beauty (Belle) or the Beast. Why do you have to choose? Get both! How cute is that rose that is on the bottom of the bump? So creatvie. Ok, fam. 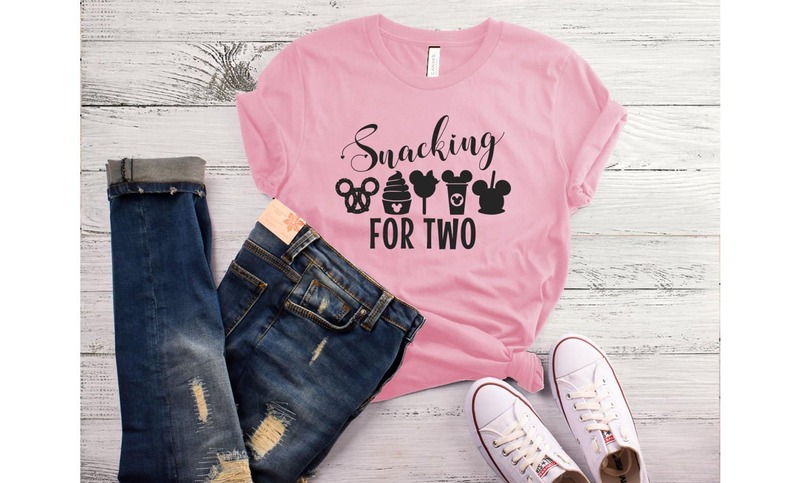 This snacking for two maternity shirt is just perfect because it shows all my favorite snacks – whether I am pregnant or not. Is that Dole Whip?! YEOW! Love all the Mickey Mouse ears, too! I think this shirt can also serve as a checklist if you are hitting the parks. Have to eat everything you see when you are eating for two, right? LOL. Just kidding – I’m still losing the weight from baby one, two, and three. STOP! 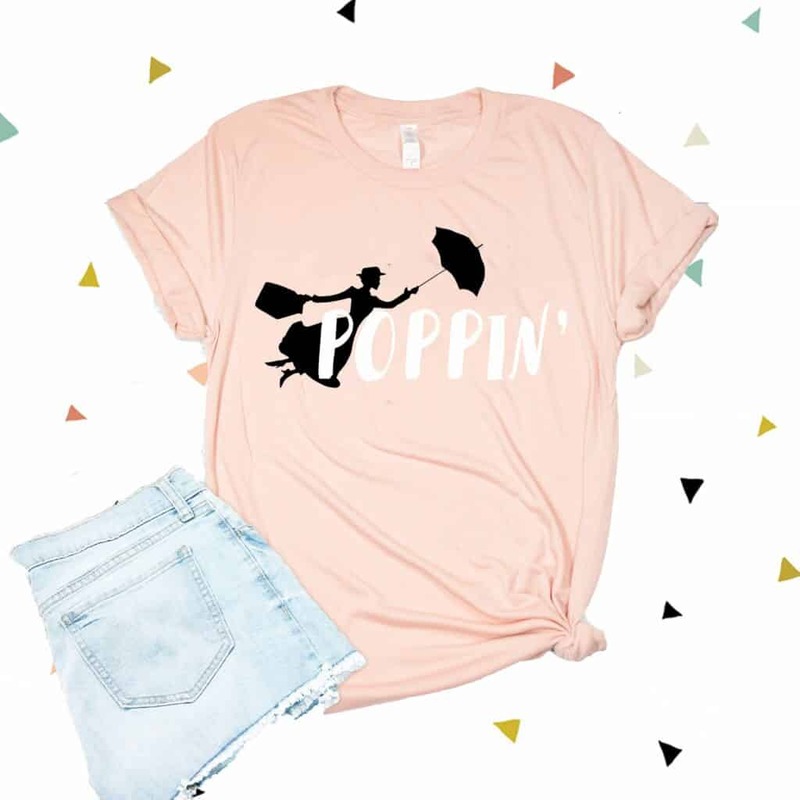 I am in love with this Disney maternity tee. Disney magic?! Isn’t it true? I am swooning over the idea of this Etsy creation. Love the vibe – it is just so precious. Mary Poppins says you are popping and when you are pregnant that belly certainly begins to pop! So, this maternity tee is perfect for that time of your life. Another perfect idea for the summer or your next vacation! I love all of these ideas. I hope one of them works for you. Previous Post: « What To Do With Canned Tuna? I love this maternity shirt. My friend is pregnant and she is so embarrassed with her look. She is a first time on pregnancy. I told her not to be embarrassed for having changes in our body is really a part of it. She even told me that she looks miserable for she could not find anything to wear that is appealing. 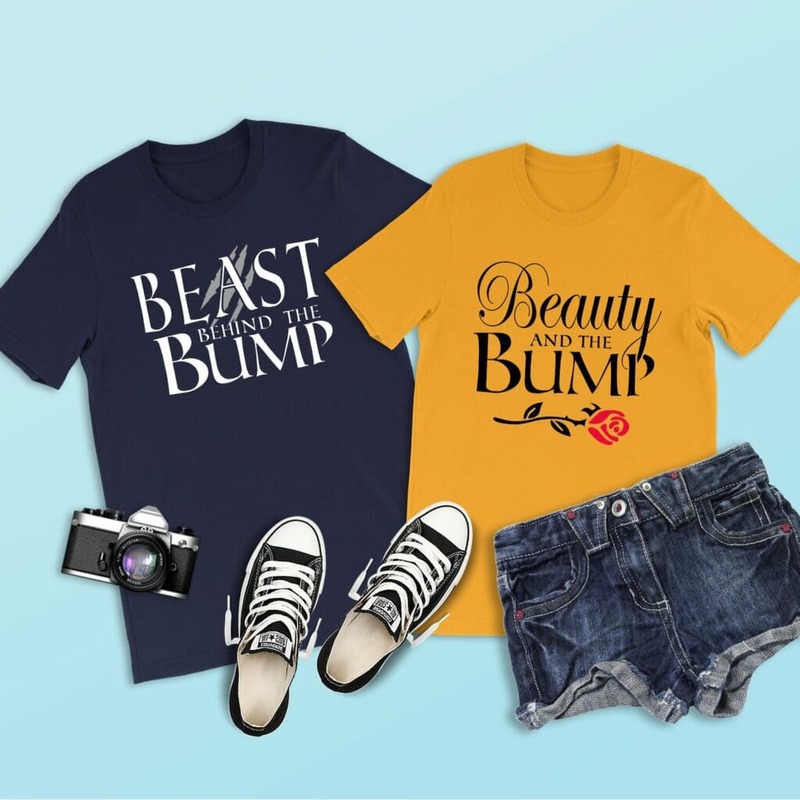 With this Disney maternity line, this is a very nice gift for her.